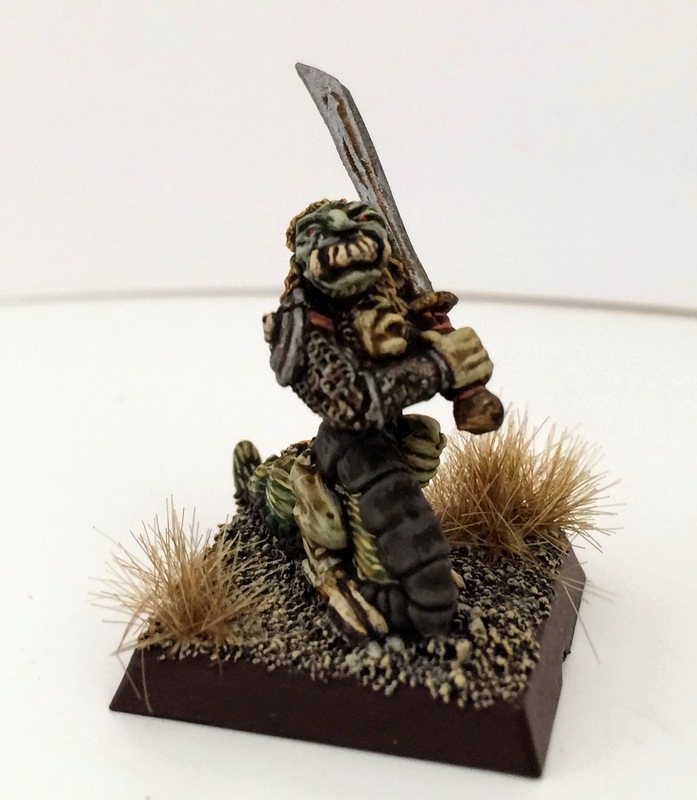 Hi, today we have more C27 Beastmen, C38 Beastmen and CH4 Chaos Beastmen fantastic old school miniatures from the 1980's, see more on the pre-slotta miniatures over at the Collecting Citadel miniatures wiki. 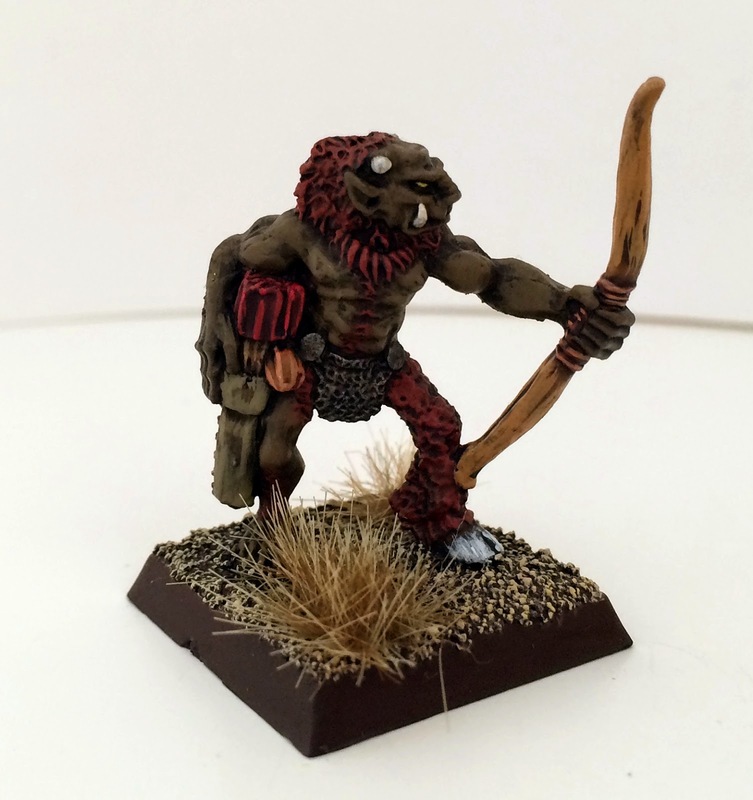 I am really enjoying painting these miniatures with the goal of having a 'true' beastman regiment their variety and concepts are wonderful, some silly but I am hooked and have amassed quite a backlog of these miniatures to paint so keep your eye on this blog for more to come. 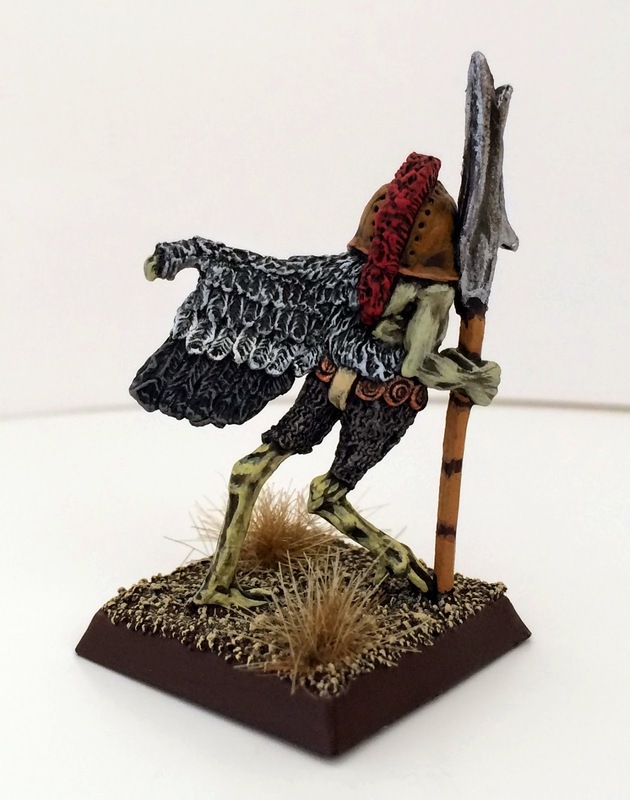 First we have C27 Carrion Man a truly hideous miniature, a variation of an old Runequest Broo miniature, he will be going in the front rank and I would like to thanks Jason Gill for this trade directly through the blog, a true trader, fair and honest. 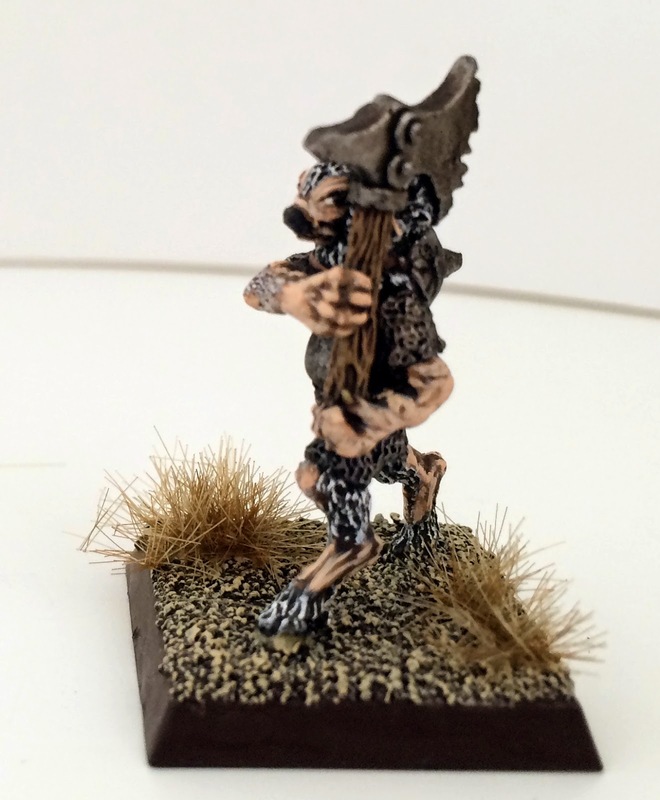 While painting this miniature I noticed he is sporting ancient Spanish Celt-Iberian headgear, I know this as I have painted 100's of ancients over the years. Those Rhea feet look mean too, +1 attack? 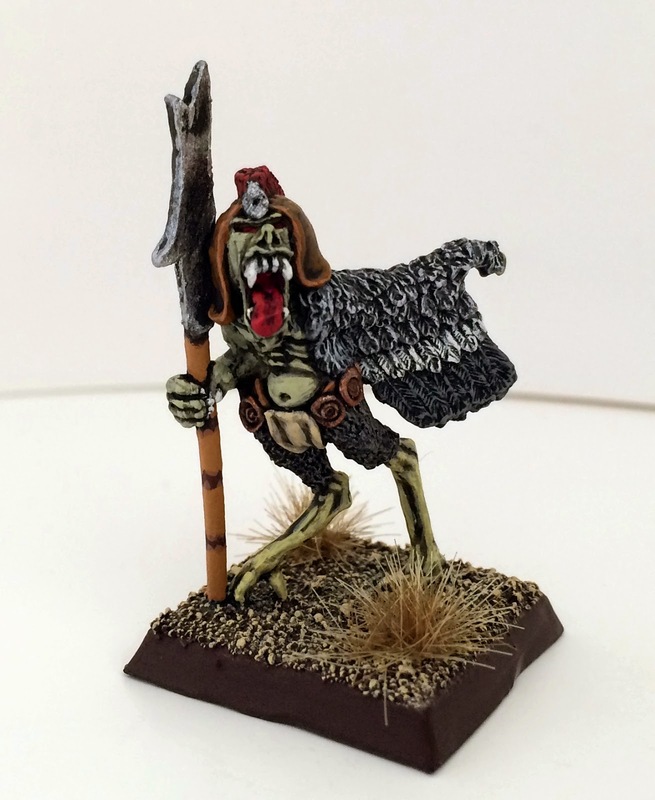 Next we have 'Skarrim' another C27 Beastman from the Third Citadel compedium, this one is brutally armed with two meat-cleavers, dogged faced drooling for blood definitely a follower of Khorne, Beastman berzerker anyone? I think this may be another Kevin Adams sculpt. Next we have C38 Beastmen Slug man another revolting creature who seems to have his previous head of a man in his chest. There is another slug man in this range. 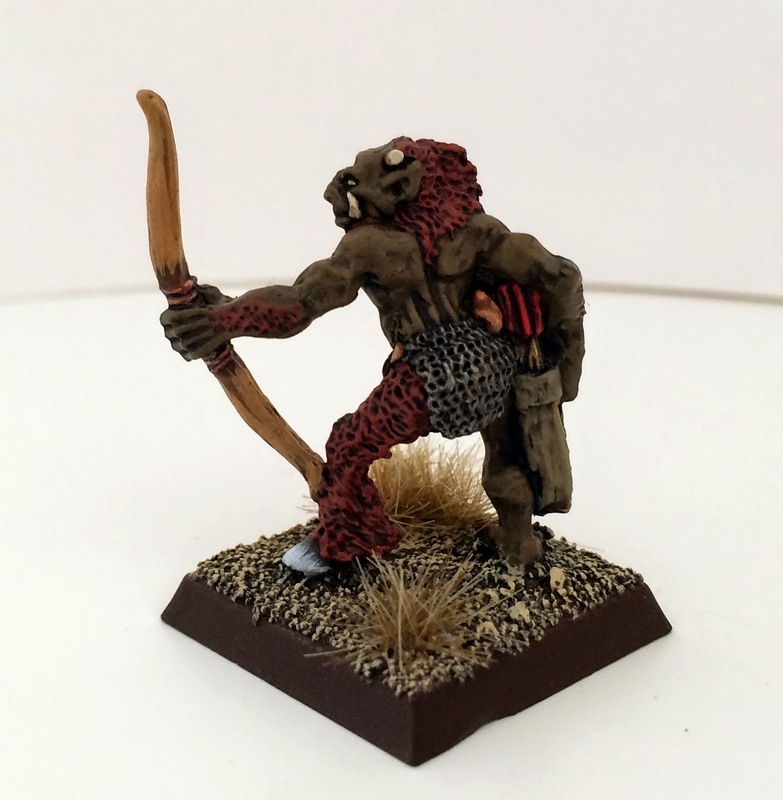 Now we have a later CH4 Chaos Beastman 'Lash', it's nice to see a bow armed Beastman, I have several of these to mix into my regiment. 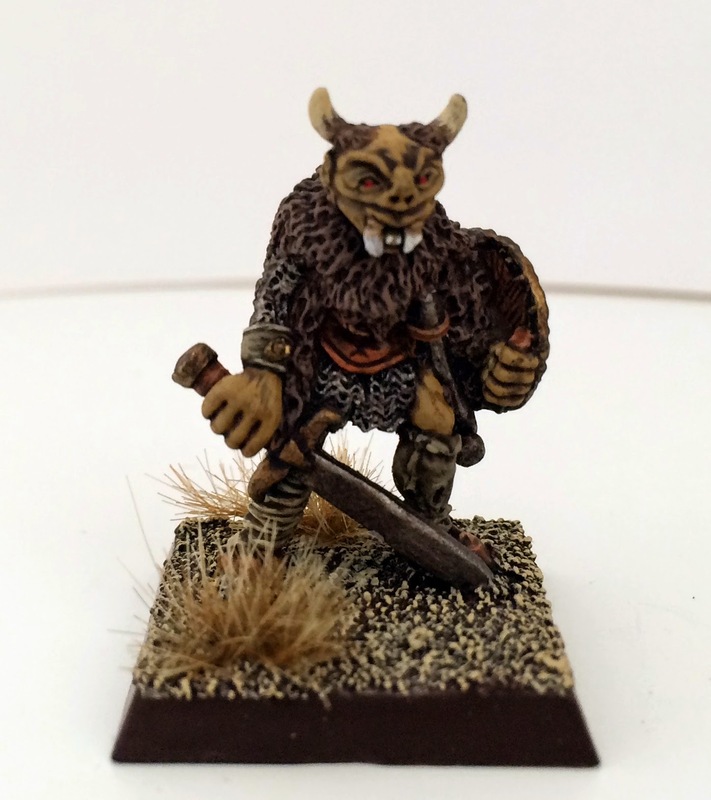 Back to C38 Beastmen we have 'Beastman', a very old miniature, I am not sure what sort of beast he was supposed to be mixed with, you decide. He has a Warhammer tucked in his belt and a very nice shield with a demon head as the boss and screaming faces around the rim. 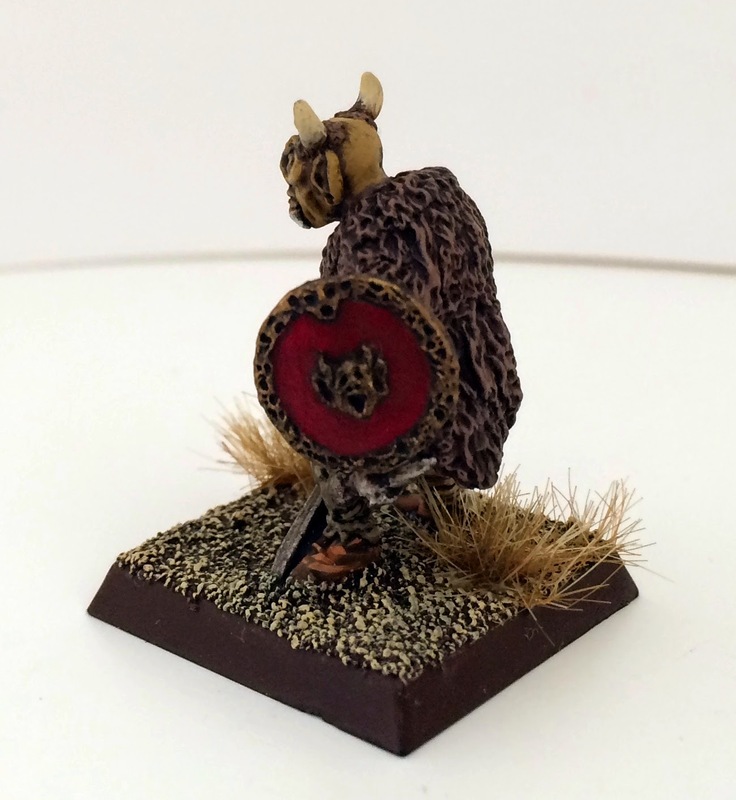 i have seen another variant of this miniature with a different head, which seems to be the case for a lot of this range. 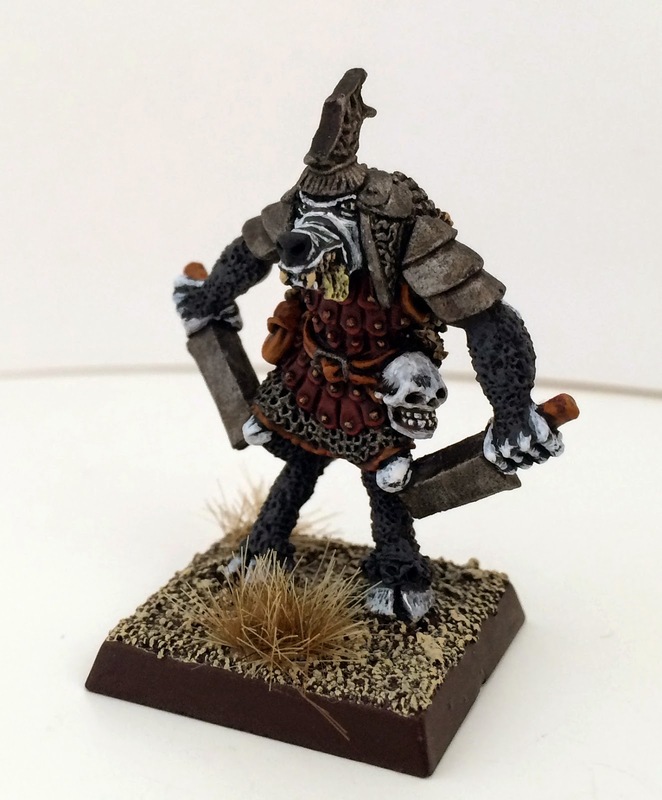 Now we have my mystery Beastman, I said on the Oldhammer FB group that I think it is Kevin Adams sculpt as the armour markings are identical to this C27 Boarman's, it also small chaos star on his armour, here is my painted version, I pondered on what animal he could be mixed with and settled on a Sheep. I have not found him in any early catalogue of the age but he did appear later here. 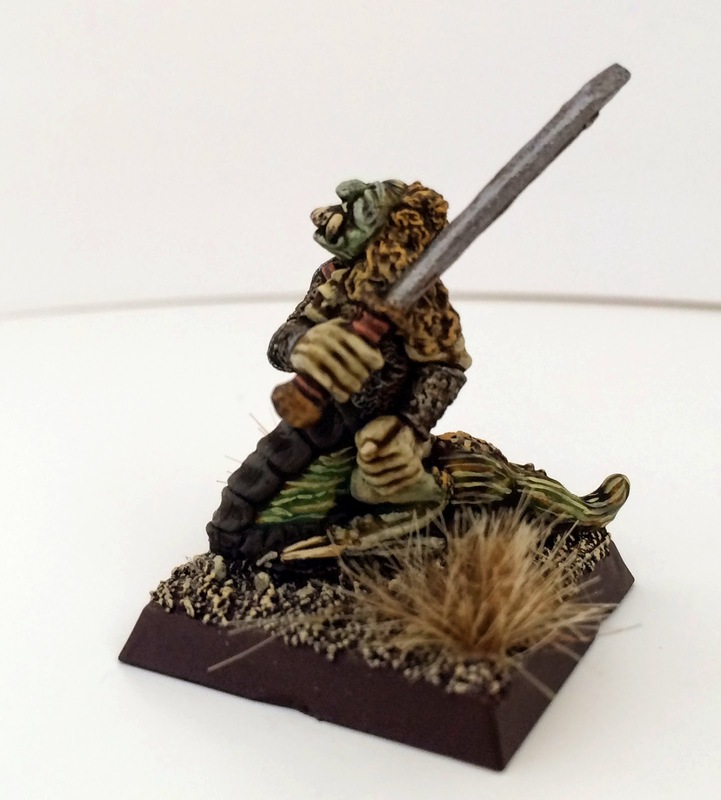 Orlygg's took a photo of some of Chaos Thugs in Bryan Ansell's Miniature Collection and amongst them were lots of miniatures not from the Chaos range one example was the Wood Elf Champion with axe and Orc head, I love this miniature and it never occurred to me that he would make an excellent Chaos Thug so I got him out of storage and painted him for my Thug regiment. 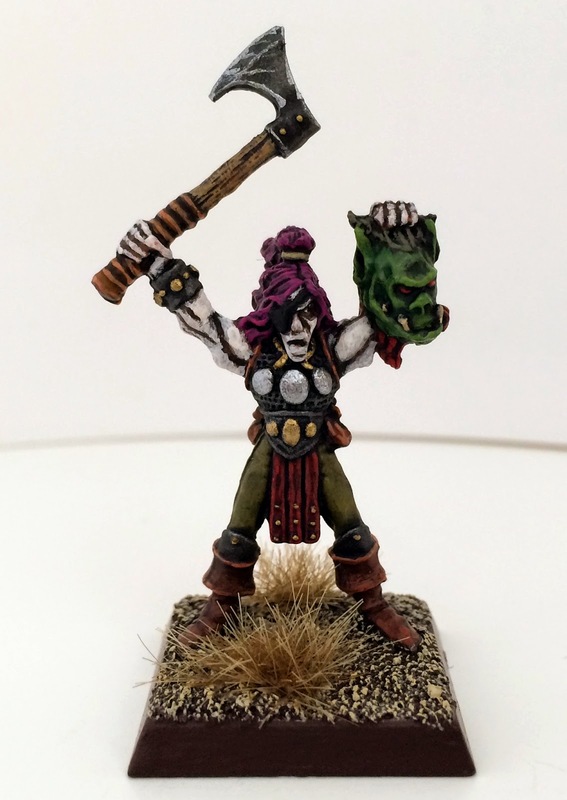 Pale skin and pink hair a perfect thug of Slaanesh. Yes, yes and thrice yes. Viewing this bevy of beauties is a most excellent conclusion to the weekend. Carrion Man is a right state, isn't he? Just found your blog and really dig it! 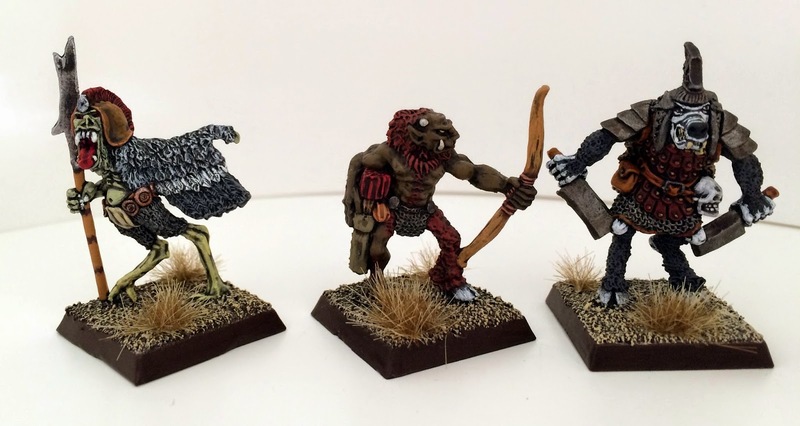 Those are some tasty old figs, and well painted. 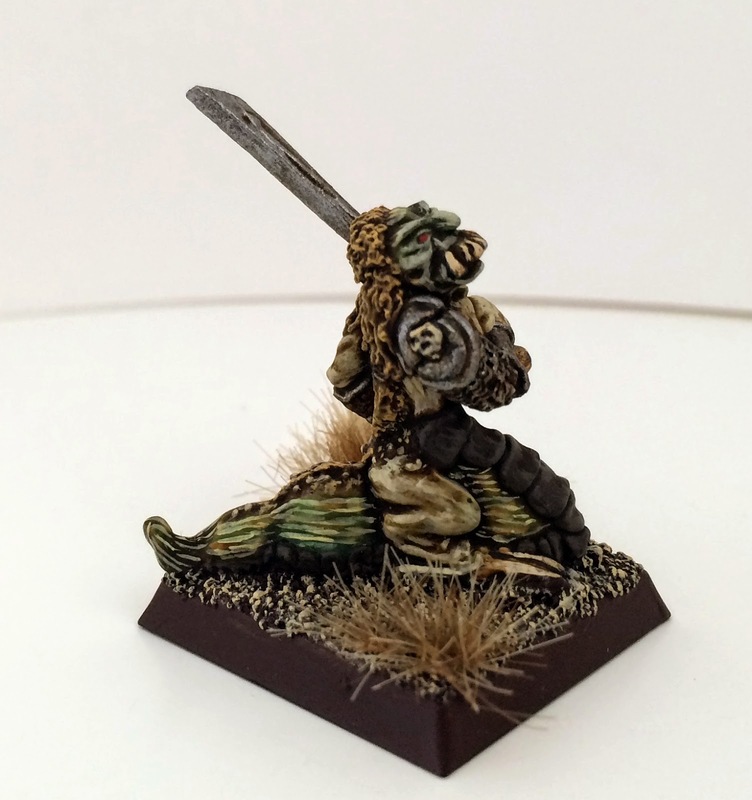 It's funny how single-pose, hand-sculpted minis from back in the day somehow convey so much more variety than multi-part kits. Anyway, I run a blog at mdarrow.blogspot.com. Pop by if you like. thanks for the kind words, it's so true that the old single pose do have more variety, work that one old :S, I will adding you asap, I love your blog and suggest all should pop in. 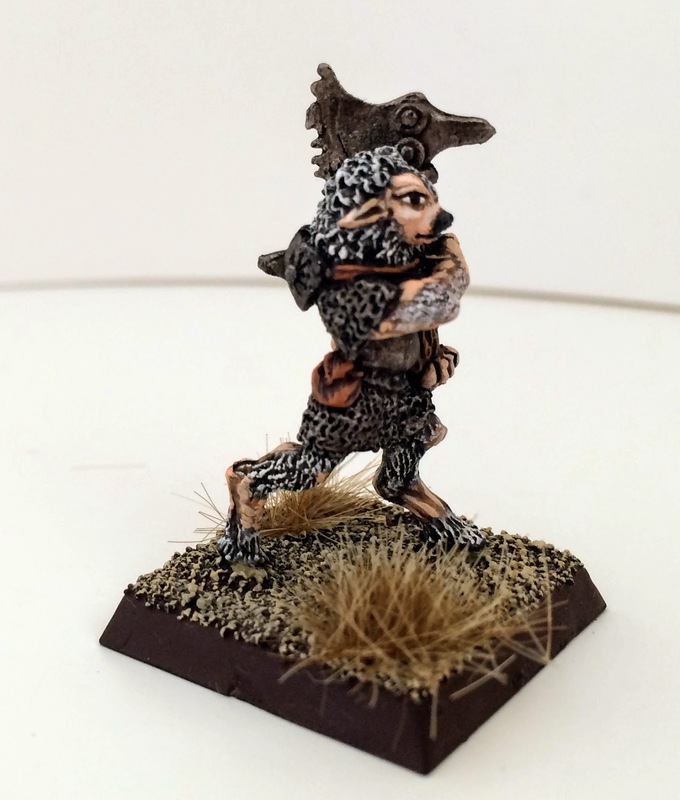 wonderful minis and the elf / chaos thug is particularly brilliant! Was looking forward to seeing these, Jason. Really nice work there, mate. 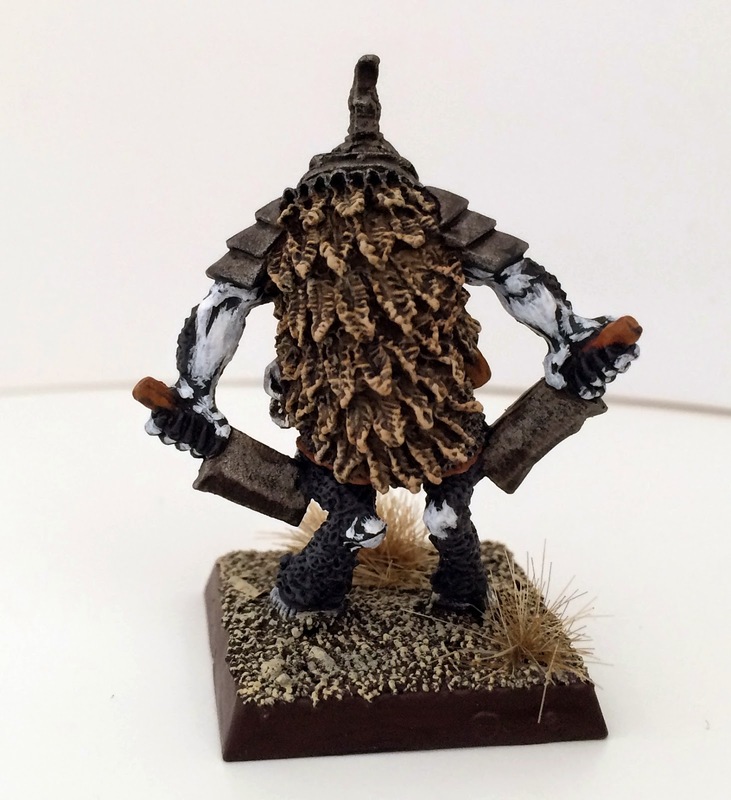 I particularly like C38 Beastman. What a great figure; never really taken much notice of him. May have to be a future purchase.